Ever since I was a little girl, I have been captivated by the German Shepherd Dog. Their beauty, agility and intelligence drew me in and I've been hooked ever since. 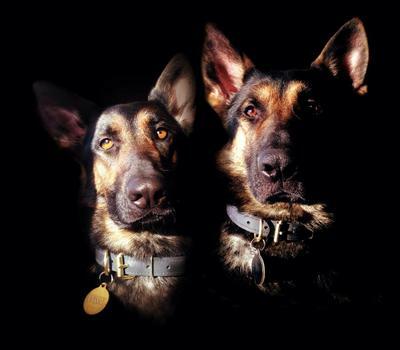 Pictured above are our two beauties, Jäger and Odyssey. Jäger, the male, was purchased from a breeder in Rib Lake, Wisconsin and our female, Odyssey, was a rescue from Black River Falls, Wisconsin. Jäger and Odyssey make each day an adventure and fill our lives with love and happiness.